Why do hair transplant abroad ? Save thousands of euros by performing the hair transplant in one of our partner clinics in Hungary or Turkey. Travel abroad for hair transplantation ? You lose your hair or you are bald and you dream of grafting your hair safely and with the latest technologies and of course the reasonable price? You lose your hair or you are bald and you dream of grafting your hair safely and with the latest technologies and of course the reasonable price. So do not hesitate to contact us. We are delighted to offer you the care in 4 hair transplant clinics, equipped at the last request. Our partner clinics are located in Belek, SIde, Antalya and Kemer. There you can enjoy the latest hair transplant technologies (FUT and FUE at the same time). Why we offer you rates so interesting? Because we have entrusted our patients to Turkish specialists, who have years of work experience, but whose labor costs are cheaper and cheaper than in Europe. Even if you add travel expenses and accommodation, care with our mediation are cheaper. Do not hesitate and contact us immediately ! Send us in the email the photos of your head so that we send you the quote as soon as possible. In the FUT-Method (Follicular Transplant Unit), the doctor removes a strip of skin on the nape of your head, then removes one or more follicles and reintroduces them to their new location. This strip is then fixed neatly. This type of treatment may take about four hours, but the duration of the intervention depends on many of the follicles to be implanted. A graft (a hair follicle) prepared contains one, two and sometimes three hair. 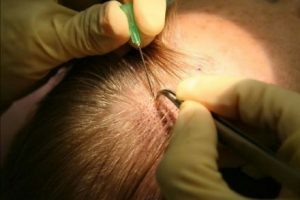 The FUE technique is an innovative grafting technique created to solve problems related to baldness: autograft of hair without scars or pain. In Follicular Unit Extraction (FUE) hair follicular units are obtained from the donor area without “band”. Grafts, hair roots consisting of 2 or more hair, are usually eliminated at the back of the head. In some cases, it can also be obtained from its donor from other parts of the body. Medical Voyages © 2008 - 2019.